After a crushing 3-0 loss at home to Tottenham Hotspur, Manchester United fans accept that they are in a period of darkness where chaos has completely ensued the club. Meanwhile, football betting fans’ interest has peaked in the sack race market. It has been well documented how Manchester United’s season started, off the back of a calamitous pre-season tour to America and a failure to bring in the targets that the manager had his eyes set on. Ed Woodward, the executive vice-chairman, vetoed moves for Toby Alderweireld and Harry Maguire, insisting that Mourinho’s judgement was misplaced with the two defenders he had chosen not being an upgrade on what the club already had within its ranks. With Tottenham’s schooling of the Red Devils, it’s clear to see why Mourinho was adamant on signing a centre half in the transfer window - especially given how well Alderweireld carried out his duties at Old Trafford. By making six changes to the team the week before against Brighton & Hove Albion, which resulted in a loss, United’s starting XI was a mix of players that have not played for a long period of time and also on the periphery. 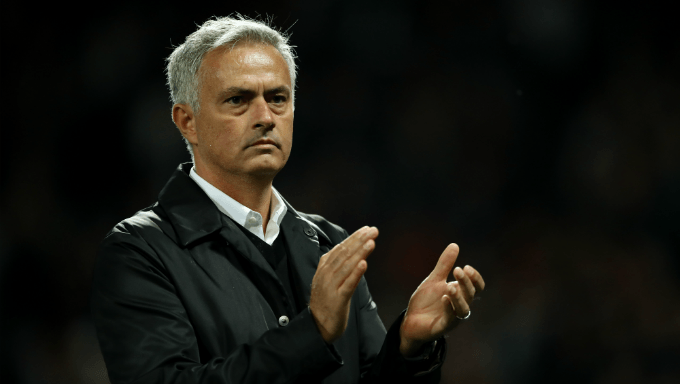 Mourinho decided to drop Ander Herrera, usually a box-to-box midfielder, into a back three, placing him as the right-sided centre back, alongside England internationals Chris Smalling and Phil Jones. The second goal of the night highlighted why that was an outlandish decision that simply didn’t pay off. As Smalling and Jones moved up together to play the offside trap against Christian Eriksen, Herrera failed to take note of it - given he’s not used to playing in that position - and therefore allowed the Danish playmaker in behind United’s defence and into an advantageous area. Although the goal was eventually scored due to a weak challenge by Herrera, it had started because of defensive ill-discipline caused by having a midfielder playing out of position. What was remarkable happened after the full time whistle was blown. Mourinho had gone over to the Stretford End and stood still while applauding the fans for several minutes. There were no jeers or boos coming from those fans, who were instead replying with applause of their own. Mourinho has been in situations before at clubs where fans turned toxic extremely quickly, as he found out at Chelsea and Real Madrid, but United’s supporters have once again shown their patience and respect. The first 45 minutes against Spurs was a good response from Mourinho’s players after their defeat the week before. They approached the game with a newfound energy, vibrancy and threat, and would have been hugely disappointed when they failed to take the lead and build a score. By not taking their chances, the Red Devils invited Tottenham back into the game and as soon as one goal went in, the players’ heads dropped and the team’s organisation soon unravelled. Mourinho went on a Mourinho-style rant in the post-match press conference, making it clear to all that he has won three Premier League titles in his managerial career, while the other 19 managers in the division have an accumulated two. The club’s players, manager and backroom staff need to remain united when going through a difficult period and so Mourinho’s comments covering himself in glory looked misplaced and desperate. Moving forward, there is always going to be talk about how long it is until Woodward pulls the trigger and relieves him of his position. Ladbrokes have offered odds of 1/2 for the Portuguese boss not to be Manchester United by the end of the last league game of this season. However, the selection for Mourinho to have been sacked by Christmas day, priced at evens, might entice a wider audience. After the mishaps of Louis van Gaal, Woodward will not want to sanction any firings just yet and will make sure Mourinho has the time needed to be given a chance in turning the ship around. Up next is Burnley away, who will be entertaining Olympiacos in their second-leg of the UEFA Europa League qualifying rounds during the week, and so the Red Devils simply have to right their wrongs and come away with the three points from Turf Moor. Mourinho has the players at his disposal to change the climate at the club. He might not have brought in the players he wanted over the summer, but the squad of players he does possess are still good enough to challenge for major honours. Somehow, he needs to get through to them and ensure that everyone is singing from the same hymn sheet. Mourinho has shown his ruthless side after isolating certain players over the past 12 months, but now is the time to come together collectively and fight for each other. With the season only being three games deep, there is still plenty of time for Manchester United to come back into the fold. A win before the international break will ease the mood and noise around the club in the short-term, but they will need to pick up some momentum in the Autumn months if they are to make up for their mistakes. Manchester United fans know a toxic energy around the club and in the stands is not what they players nor manager need right now. They need support from all angles and the faith that they can come through this challenging period and onto the other side. There is still plenty to fight for and Mourinho will not be giving up just yet.